Your Financial Clients Demand 24/7 Service. 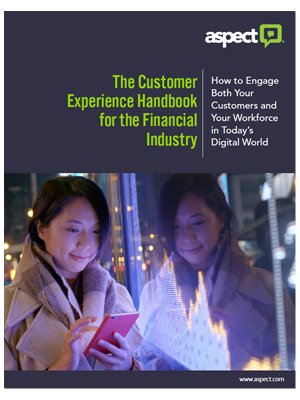 In a financial world increasingly impacted by technological innovation, fintech disruptors and consumers’ expectations for a 24/7 customer experience (CX), the need for thoughtful investments in holistic CX solutions is more apparent than ever. But how can your organization meet the demands of today’s customer, keep your workforce engaged and control costs? Please fill out the form to get your free handbook today.